is revolutionizing the real estate industry by providing proven and tested methods Jay Kinder and Michael Reese have used to build multi-million dollar real estate sales businesses. Serving advanced real estate agents and brokers in the United States and Canada. This breakthrough training is for agents who sell less than 100 homes per year. 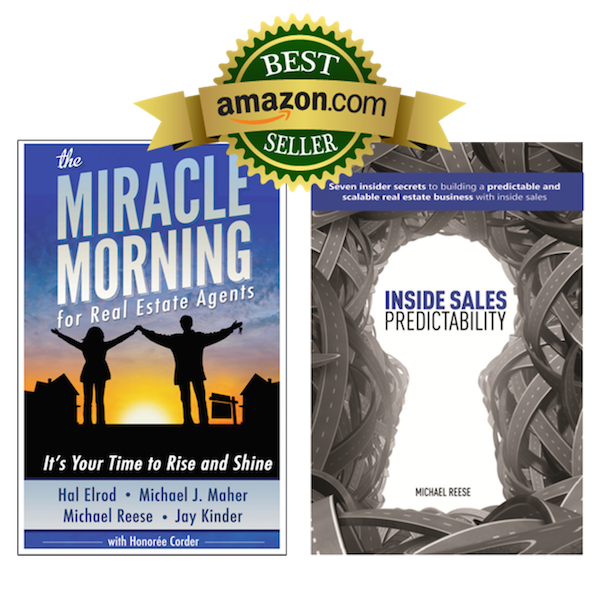 Learn how to become the most respected real estate expert and grow your business to 100 transactions per year. This exclusive training is for agents who want more predictability lead generation and conversion. Learn how to leverage inside sales agents and make $232,057 for every ISA you hire. This is a unique opportunity to become the Go-To Expert Advisor in your market. Generate a consistent flow of listing appointments so you can expand your business profitably and predictably. GoalsYouʼve tapped into your sphere of influence, established your knowledge and expertise of the market and gained clarity. Goals You can articulate your differentiated value proposition to set appointments, and win buyer agreements and listings with ease and confidence. Current SituationYou are good at getting clients to work with you but canʼt seem to get off the roller coaster of having a good month then a bad month. Need predictable seller lead generation that actually gets results. Goals You have 2 solid Seller lead generation pillars producing PREDICTABLE new business. Made your first key hire to increase your productivity. More control. Current SituationFeels like Iʼm doing all the work, burning the candle at both ends, need systems, time management, and help with delegating some of the work. Challenges The business is rocking and weʼre making money but it still feels unstable, Iʼm working harder and longer hours and the chaos is taking itʼs toll. Will I ever see my family again? Goals I have a key person in operations and have hired a listing agent to give me the ability to spend more time leading and developing people. Challenges The continuous grind of replacing low producing agents is maddening. Iʼve accomplished my real estate goals and Iʼm being pulled to a higher purpose. Iʼd like to create an exit strategy, can I even sell this business? Goals You understand your financial model & have built a highly profitable debt-free business that generates profits for you without your involvement in day-to-day activities, and you are paid a salary for your role from your business' profits. "There are two gentleman I really respect, Jay Kinder, Michael Reese, and what I respect about them is what they are trying to do, how they are trying to do it, why they are trying to do it, and what doing it has accomplished for people through the process of continues sustained progressive access to them their methods, their mindsets, and their continuous growth. Because they keep growing, and they have a desire to hold everybody they collaborate with and everybody at their organization, they refuse to allow you to even grow and then get static. You cannot if you stay associated with them remain on a plateau. That is pretty powerful to know that it is almost impossible."